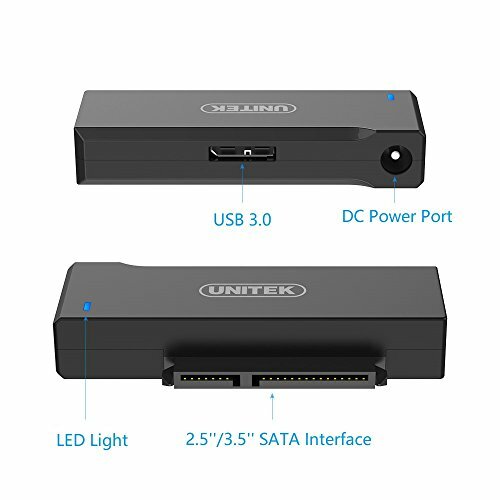 [Great Compatibility] Comprises of a high-class chipset VL711; Supports 2.5" 3.5'' SATA I/II/III hard drive/solid state drive and SATA optical drive, can be used on Windows XP/Vista/7/8/10 and Mac OS. 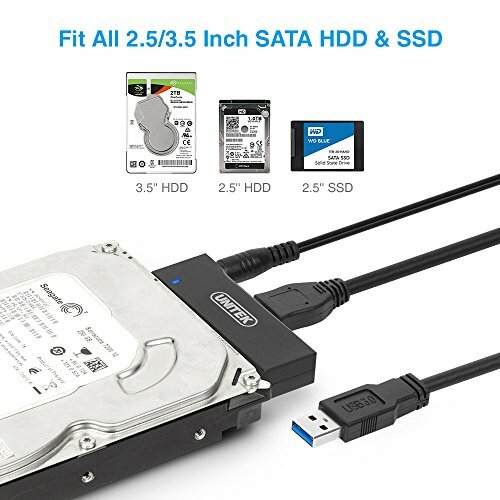 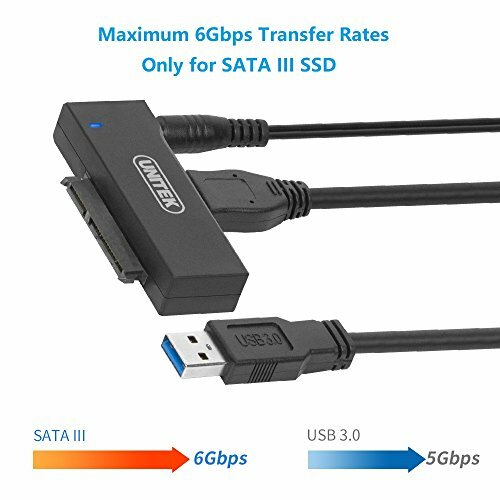 [Up to 5 GBPS Transfer Rates] USB 3.0 version, backwards compatible with USB 2.0 / USB 1.0. 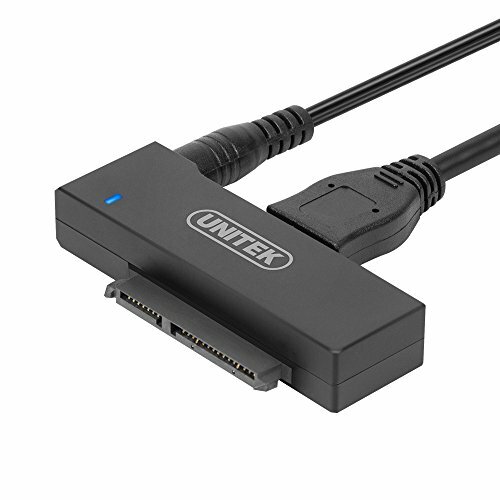 USB 3.0 supports data transfer speeds up to 5Gbps. 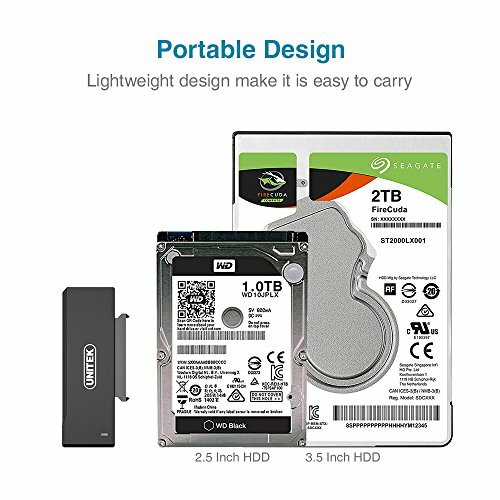 [Portable Design] Portable and lightweight design make it is easy to carry. 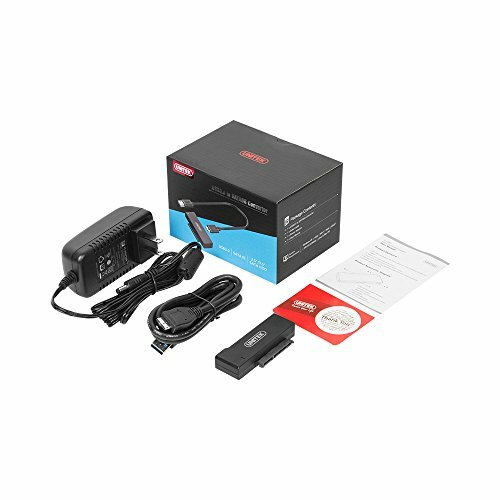 LED light shows Power and Activity status. 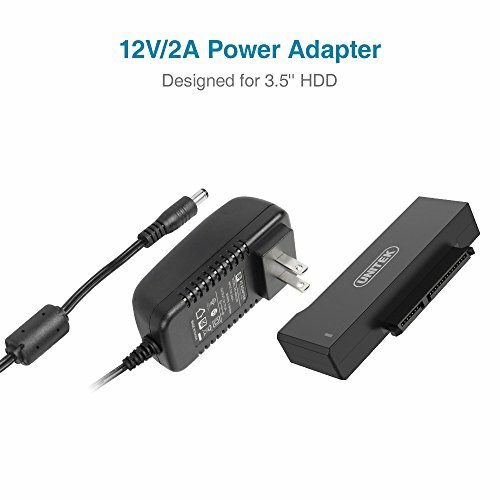 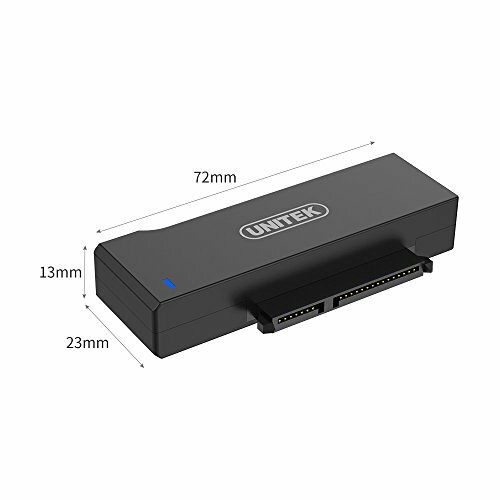 [What We Offer] Unitek USB 3.0 to SATA 6G Adapter x1, 12V 2A Power Adapter x 1, 2.6 ft USB 3.0 Cable x 1; 2-year warranty quality guarantee, 24h friendly customer service and email support.